Aside from your relationship with potatoes, you hadn’t really crossed my mind over the years, your state little more than a hostage to the French fry existence. As it turns out, there’s more to you, with over 180 agricultural products, a top producer of Austrian winter peas, trout, barley, sugarbeets – and yes, potatoes. You also have a serious relationship with wine. Who knew? A quick jump from Portland, your capitol city might be the quaintest terrain I’ve visited in a while, reminiscent of Bend, Oregon, where old brick buildings are feeling a new breath of life. 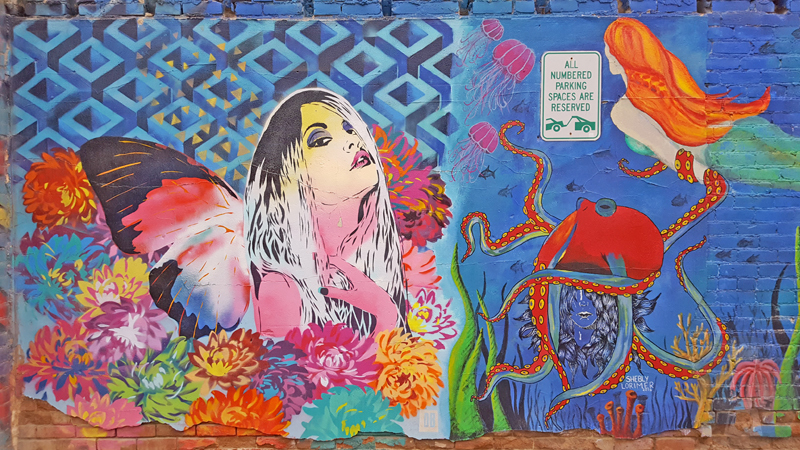 An easy walk through your downtown offers such a beautiful, eclectic collection of local artwork – the brightly colored wall murals of Freak Alley to the sparkle of silver constellations along Front Street. Your streets are clean, your retail spots gems, and your restaurants, bars, and bakeries would fit nicely into Portland’s quadrants.